Technology has opened up enormous resources to songwriters and producers, by offering highly skilled players for any project budget. You may also choose to use these services in your audio book or voice over projects. These resources are at HyperThreat Sound, and we can guarantee their quality and professionalism. Musicians listed on this page are time tested, skilled players, strong readers, and will provide the artistry you need for any project your . These are “real” musicians, not samples. Regardless where you, or they are located, save money on studio time by working with us remotely. We can provide quality stems remotely. Call us for quotes and how we can get you started turning your songwriting dreams into a reality. We only endorse people we have worked with and pride ourselves in offering the highest quality of professionals for your songwriting needs. Don’t see what you are looking for here? We will carefully select the best players for your project, based on your individual needs. 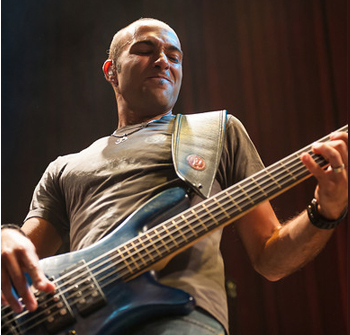 Dedicated, passionate and innovative are three words that perfectly describe professional bassist Mario Pagliarulo. He has toured and recorded with well known artists and producers such as Serj Tankian of System of a Down, Larry LaLonde of Primus, Eddie Kramer, and Trevor Hall. 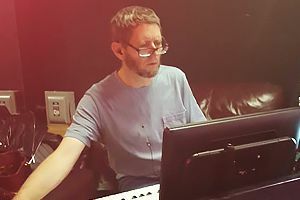 He has written and produced music for television and film, including programs on Fox Sports, Speed, and SciFi Networks. Tim Bogert is a true bass legend, as skilled at shredding as he is holding down the bottom end. His pioneering work with the late‘60s band Vanilla Fudge introduced a new level of passion and virtuosity to the rock bass lexicon, providing inspiration for countless progressive rock and heavy metal bass masters to come. For many years, he teamed with drummer Carmine Appice to form one of rock’s all-time great rhythm sections, and he’s worked with a who’s who of rock guitar icons, including Jeff Beck, Leslie West, Michael Schenker, and many more. One of Northern Colorado’s most respected musicians. 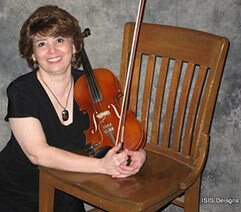 She has played and recorded Classical, Celtic, Hip-Hop and almost everything in between. You can find her playing on Albums of Colorado’s best: Ben Long- Still Alive album, Angie Stevens- I’m OK, Green Lemon-Green Lemon, Scott Allen – Down The Road and many others. A professional musician, Masters performed in groups such as Zuriel, Electric Playground, Shards of Seven and 69 Times. In 1993, he won the KBPI Steve Vai guitar competition, released his debut album Electric Babylon. In 1999, he released his second album ‘Til The Moon Goes Away. Masters has opened for Tesla, Dokken, Ted Nugent and Warrant among others. When not performing, Masters teaches 50 to 60 students at his studio. He has taught guitar since 1986. Need an affordable and professional drummer for your recording project or live show? Look no further. Erik Martin has been playing drums for over 15 years, and providing private lessons for over five years. He specializes in playing many different styles of music including Rock, Funk, Jazz, Metal, Alternative/Indie, Latin, Experimental, and Fusion. You can check out both his drumming and videography on the media samples below. 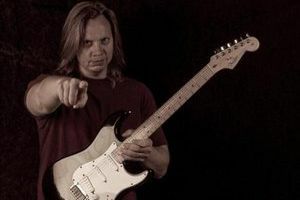 Eric Moon has performed with Ann and Nancy Wilson of Heart, Jackson Browne, Wendy and Lisa from Prince’s Revolution Band, Victor Wooten, Steve Earle, and Loretta Lynn. He has produced recordings for EMI and MCA records. He has had a #1 charted single in Malaysia, written sounds for synthesizers from Alesis and M-Audio, and toured as Bjork’s keyboard tech. He currently makes a living doing concert and studio work, as well as playing organ for the Colorado Avalanche hockey team.